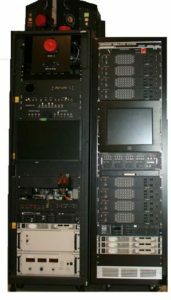 Systems Integration Capabilities - WaveLink, Inc.
WaveLink design, develops, integrates, and installs Operations Centers and Telemetry control rooms capable of operating in a multi-classification environment. 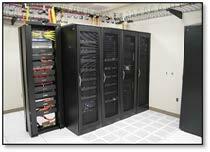 Our design and integration expertise spans Telemetry ground systems, Real-time servers, Video Distribution Systems, Video Walls, operator consoles, multi-class networks, cross-domain solutions, intrusion detection systems, and data storage solutions that allows us to fulfill our role as a prime integrator. 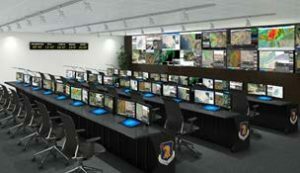 WaveLink personnel have developed multiple control rooms including those currently in use at Redstone Arsenal. WaveLink designs, develops, and fabricates HWIL racks to support avionics integration testing of mission equipment systems as a risk reduction effort to airworthiness flight testing. WaveLink develops flight emulation capabilities to stimulate avionics racks with flight motion to create an operationally realistic test environment. We also develop geographic information system (GIS) flight visualization tools based upon NASA World Wind models to support test activities.